The Flake Golf PRO SHOOTER. Technically and from a performance point of view, the Flake Golf PRO SHOOTER is based on the Flake Golf PRO and has exactly the same material and flight characteristics (for more information watch the Flake Golf PRO characteristics). From a design point of view the Flake Golf PRO SHOOTER is setting new standards. The cooperation with K1X adds an authentic sporting heritage and full street-cred to the project. 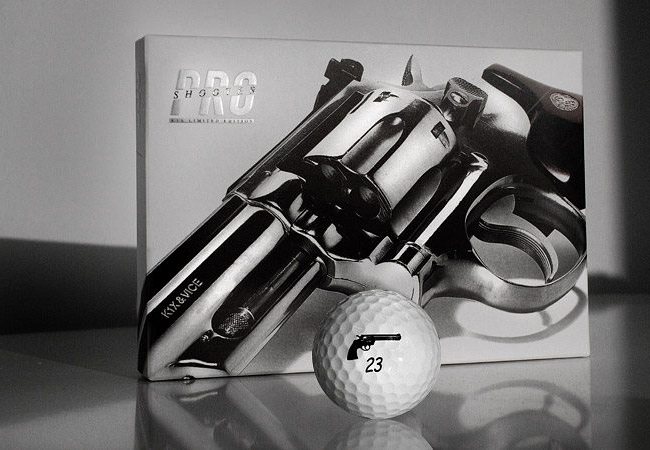 The Magnum (printed on the ball’s surface and high-brow packaging) is an obvious hint at the power and precision of these exclusive golf balls. K1X’s basketball DNA is obvious in the choice of the ball’s I.D. numbers: “23”,”34″,”93″. An obvious tribute to some of the greatest ballplayers – as well as the founding year of K1X. The quality Lizard CAST Urethane outer skin makes these features really shine and leaves nothing but mere surprise on the fairway. The cooperation is limited to 5555 dozen golf balls. The balls can be ordered exclusively on our website or on K1X. I really like the idea to look at the golf ball as a design object and not as just a golf ball. For me the Pro Shooter is definitely a must have which makes my equipment much more special. 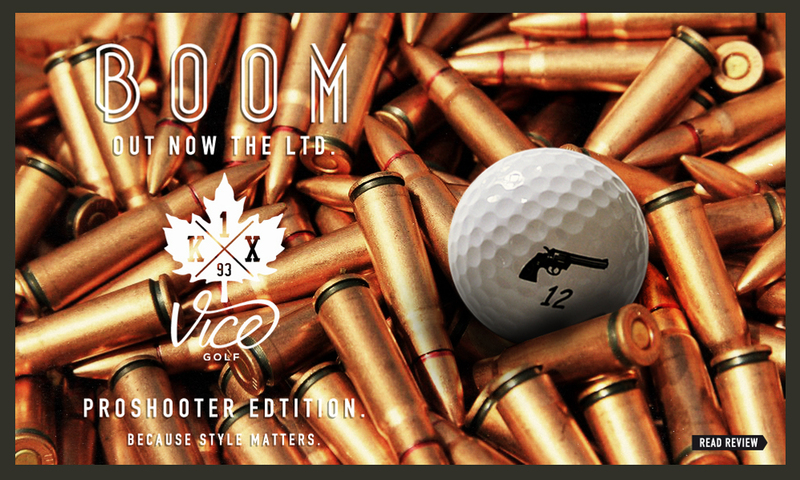 It`s not just a golf ball, it`s a Vice Pro Shooter!